Seal the remodeling area with the use of paint tarps. This is the best way that you can minimize dust in the air, on the floors and furniture. Isolating the area by using tarps will save you a lot of time from cleaning the entire home. Seal to the utmost of your ability. Don't leave gaps in between because dust is almost invisible but later on, it gives you a headache especially when it's accumulated over several days. Imagine cleaning up a thick layer of dust! If you need an entrance or exit, customize the tarp by adding zippers on it, that way, no gaps are created when the tarp is being moved. The contractors will know the best way to attach the tarps. Usually, it is done by using duck tape. Apart from sealing for the purpose of isolating the area being remodeled, seal or cover your furniture as well. This is very important as you do not want to clean your sofas one by one. Seal the gaps of cabinets. This will save you time from washing your clothes again later on. You will thank yourself later on for doing so! Have your contractors create a path where family members can pass through safely. This is usually not necessary if only one part of the home is being remodeled. But in case of a commercial building where several areas are being renovated, be sure your employees know where to go. Install the necessary tarps or signs so that your employees are safe from any debris when the construction is ongoing during office hours. Also, post necessary warnings such as wet tiles, wet paint, watch out for falling debris. This will keep them safe and will ensure that your contractors don't need to repeat their work, thus, making them more productive with the other tasks that need to be done. As mentioned earlier, you may ask your contractors to clean as they go. This means they don't leave the construction site a mess. 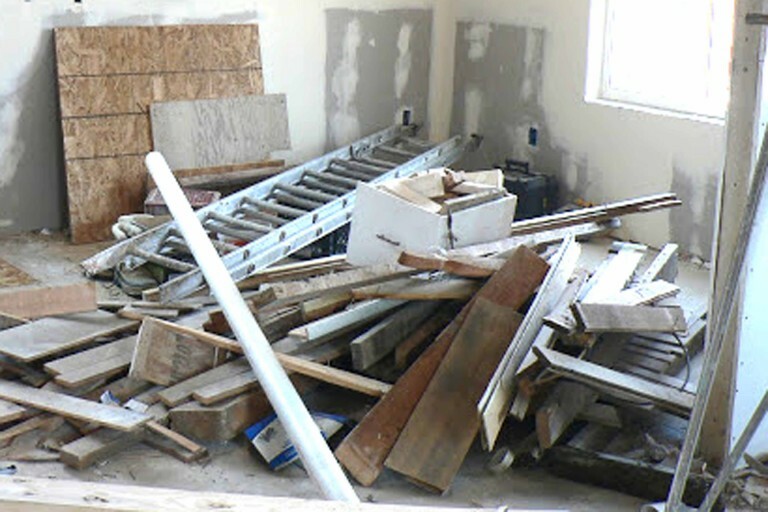 Tools should be in their proper places, dust swept, wood and blocks piled., etc. This is a good practice but will also take some time for the contractors. If they are willing to do this, well and good. But you have to talk with your contractors as sometimes, they prefer to leave things where they are so that they can immediately resume with work the next day. Air scrubbers are useful to get rid of dust, leaves, wood and other forms of tiny debris. Air scrubbers in the construction area are useful and much faster to use than manual cleaning. Using them will prevent the accumulation of dust. Compared to fans, air scrubbers blow a more concentrated amount of air, this making the job of cleaning or drying much faster.They are also useful to get rid of odors from paint or other chemicals being used in remodeling. You can use an air scrubber to block of dust from reaching other areas of the house, however, rental and purchase can be a bit costly. These are among the ways you can minimize the mess while remodeling. Minimizing it will save you time and energy giving you the luxury to enjoy your newly remodeled place as soon as you can.